Feel like your agency is stuck or reached a plateau? It happens, whether you’re just starting out or in business for many years. Don’t get frustrated or settle for the status quo. Instead, it might be time to get back to the basics, get scrappy and get creative. 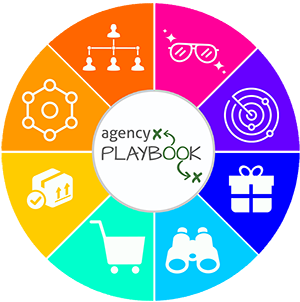 With the right strategy, mindset, and persistence you can make some tweaks that help you jump that next hurdle and reach a new level for your agency. How working for free can really pay off. How to execute outbound sales. #1 most important agency growth tip. Why you should re-think your billing. Today, I talked with Colton Bollinger founder of JumperMedia.co, an Instagram marketing agency. Colton started out in 2016 providing free Instagram marketing services to some buddies and golf instructors. What started out two years ago as a solopreneur-venture has grown now to include two partners and a team of 44 employees! Colton got really scrappy in the beginning, which meant bootstrapping his business and executing unconventional ideas. One of those ideas was to work for free and develop case stories. Sometimes giving away your services for free can actually help you grow. It seems counterintuitive, but that’s exactly what Colton did and he says it was a major key to his early growth. He started by offering his Instagram marketing services totally free. Instead of making his clients pay, he asked them for video testimonials. These videos performed better than just a written testimonial and served as organic, value-adding references. He says his “clients” were more than happy to record testimonials to help him grow and succeed since he’d delivered them great results for free. Beyond his inbound leads, Colton knew he had to execute on outbound sales too. He started out by cold calling and sending super specific direct messages to prospects. (Kinda like this LinkedIn outbound strategy.) Remember, I always recommend a 3-pronged approach to prospecting: inbound, outbound and strategic partnerships. That way when/if one channel dries up you can still scale and grow with the other two. Hyper-specific, highly targeted messages are critical. Don’t be generic with a copy/paste message. Be unique, different and personal. Do your homework and point out what they’re doing right and where they could use improvement. The more personalized you can make your outreach efforts the more of a payoff you’ll see from them. Go back to the basics! Here’s the interesting thing about agency owners, we’re all pretty similar in skill and knowledge. Most of us are just hustling to grow and scale their business the best way they can. But, if what you’re doing is not yielding the results you want then it might just require one minor tweak. It’s like a pro golfer or tennis pro who knows all the intricate moves and complex strategies of the game who gets in a losing streak or a rut. Sometimes they just need to go back to tweaking their swing and BOOM! Seriously! Find little areas for improvement or small things that you can do differently. Those micrometer differences may be exactly what you’re missing. It’s almost never some giant thing that needs fixing — it’s usually a small tweak. There are so many tools out there, Colton likes Moonclerk and Stripe recurring. Instead of waiting for the check to come in the mail, you can spend that money on client acquisition and grow at accelerated speeds. Reconsidering your billing options may give your agency the growth boost it needs. Are You Looking for Outsourced Copywriting for Your Agency or Clients? Verblio is a content creation solution designed specifically for agencies. Their writers can help with everything from blog posts to ebook to video scripts and more. Forget the hassle of finding and hiring your own writers. Verblio has a pool of more than 3,000 highly vetted writers who produce custom, SEO-rich content. You set the criteria for style and tone and they match you with writers that have expertise in your specific subject matter. Verblio’s platform is designed specifically for agencies — and for a limited time, they are offering my audience 50% off your first month of content. My team is using Verblio and loving it, so make sure you check them out.